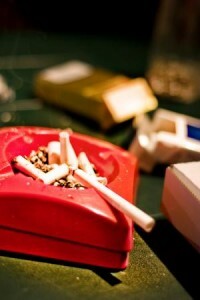 Tests World > Health tests > Are you ready to quit smoking quiz? > Are you ready to quit smoking quiz? Are you ready to quit smoking? Have you been thinking about it for a while? There are always good and bad times to quit so make sure you pick a good one! Is now the time to quit smoking? Are you very stressed at the moment, or going through some changes such as moving house or changing jobs? Take this quiz to find out when the best time for you to quit smoking is and to see if you´re ready to take on the challenge! 0-3: If you have achieved this score then you are probably not quite ready yet to give up smoking, due to a lot of changes or stress that you are currently taking on whether you are feeling it or not! The best time to give up smoking is when you have the most willpower, most positive attitude and at a calmer period in your life. 4-6: You are nearly ready to give up smoking! Just try to figure out some points where you could have less stresses in your life, maybe start doing some more exercise and you will be well on your way to giving up! 7-10: You are definitely ready to quit smoking! It can be difficult but remember to keep focused and the benefits for your health will be second to none, with real differences in your breathing and day to day life. Go for it! Do you like your smoking habit? Do you want to quit smoking for health reasons? Do you want to quit smoking for your family and friends? Are you aware of the situations that make you want to smoke? Are you willing to avoid situations where you may be tempted to smoke? (E.g. going to bars, drinking coffee or tea..? Do you feel positive right now in your life and full of energy? Is your work and home life going well and smoothly? Are you going through any major life changes at the moment? Do you see yourself smoking in 10 years time?